It’s official. We have reached peak emoji. 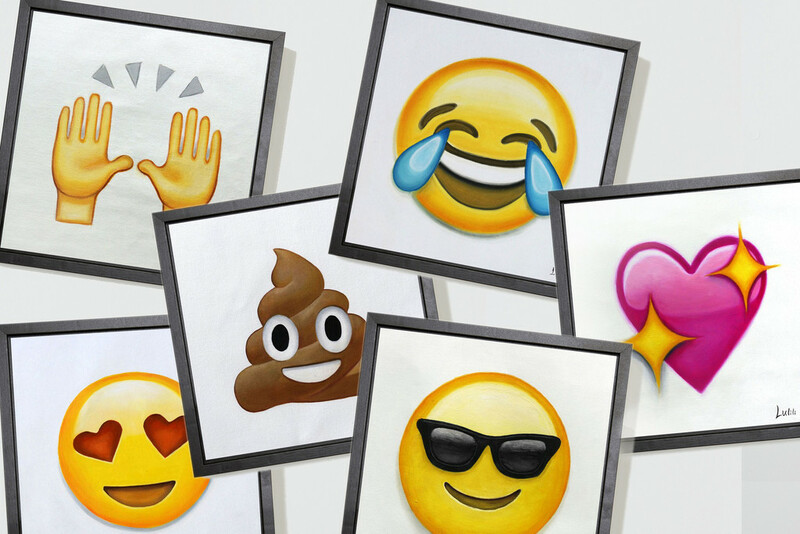 The Oxford English Dictionary made an emoji its word of the year for 2015 and now emoji have invaded the world of art. Emoji Oil Paintings, as the name suggests, are hand painted pictures of all your favorites. The project is the brainchild of Alex Godin, best known for being one of the youngest ever people to be accepted into TechStars at 17. His startup, Dispatch, which focused on email collaboration, then sold to New York-based Meetup in 2014. Since then, it seems like Godin has turned his attention to more ‘fun’ things, like Camp Cannibal, a 75 person adult summer camp. The emoji paintings are designed in New York and brought to life by artists in Dafen, China – just a few miles away from Apple’s iPhone factory. A single emoji painting will cost you $80, unless you’re willing to opt for a ‘Mystery Painting,‘ which costs $65. You can order a pack of three paintings for $152 or six for $241. Each painting comes in a rolled tube and there is an option for framing. They are all oil on canvas and measure 12 x 12-inches. Emoji have come a long way since only being available in Japan to being a universal virtual language. That idea of emoji transcending language and communication barriers seems to be at the basis of Godin’s project. And if nobody else is doing it, then why not?